If you spot a teal pumpkin this Halloween, there's an important message behind it. For kids, Halloween is about two things -- costumes and candy. But kids with food allergies have far fewer options as far as sweet treats go, and Halloween can be a tricky time for them and their parents. 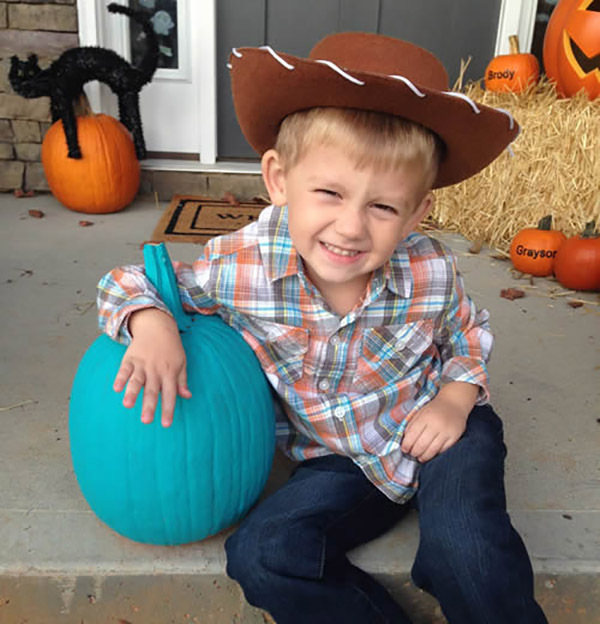 Once again, the non-profit group Food Allergy Research & Education (FARE) is hoping to help parents and kids better navigate friendly doorsteps by asking people offering food allergy-friendly alternatives to let families know by placing a teal pumpkin out alongside their other jack-o'-lanterns. Families in all 50 states participated in the inaugural Teal Pumpkin Project in 2014, and each year more families add themselves to the map of the thousands of participating houses. FARE is striving to get even closer to their goal of having a teal pumpkin on "every block in every neighborhood in the United States." One in 13 children in the United States has a food allergy, according to FARE. While most of the food allergy reactions in the U.S. come from just eight foods, people can have reactions to just about anything. "The benefit of providing non-food treats is that it's inclusive for everyone," a FARE spokesperson told ABC. FARE suggests low-cost items like stickers, bubbles, glow sticks and pencils as safe alternatives to candy. It's important to keep in mind that some non-food items contain common allergens like wheat and latex. Additionally, the food allergy-friendly alternatives should be kept in a separate bowl to avoid cross-contamination. "You're able to ensure that every trick-or-treater that comes to your door is able to enjoy the holiday," FARE told ABC. 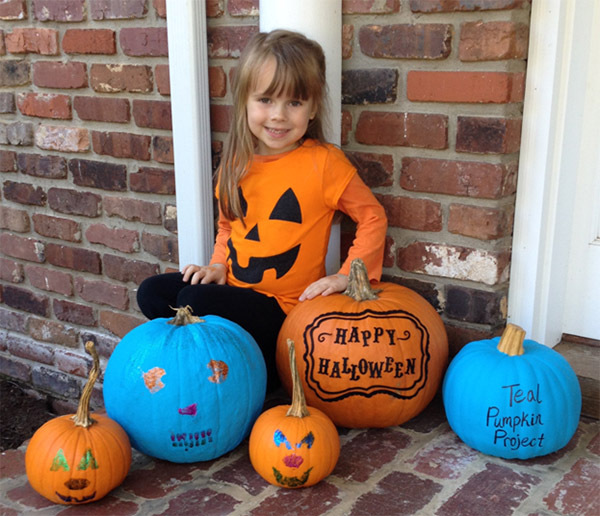 The Teal Pumpkin Project is seeing such success in part because the movement to offer candy alternatives appeals beyond families of children with food allergies, LaFemina said. Parents of children with celiac disease and diabetes are also often faced with the challenge of explaining to their little ones that they can't have the candy they are offered. The Teal Pumpkin Project offers options to anyone looking to make Halloween just as much about community as it is about those other two "C" words. For more information on the Teal Pumpkin Project, go to FARE's website.